A deep dive into Waymo vs. Intel. The current iteration of LIDAR (Waymo) will be around for at least five years before something replaces it. However, if Intel (cameras) can figure out how to get the Nervana chip technology working in autonomous vehicles, pull your bets back fast. Why we're skeptical of Mobileye's plan for validating self-driving car safety. 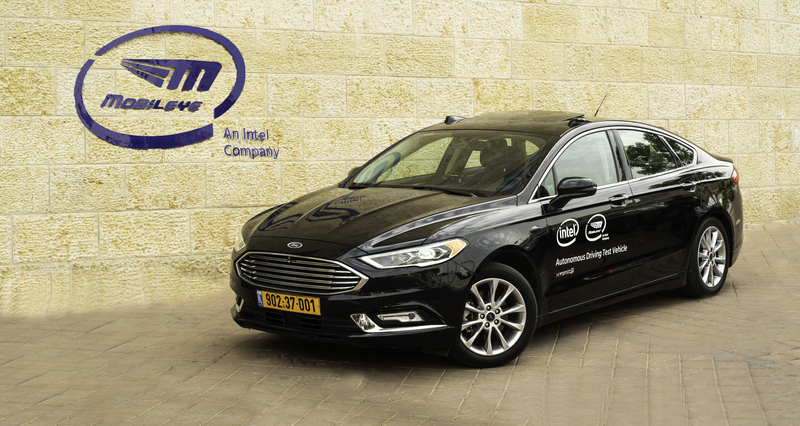 Mobileye, the Israeli self-driving technology company Intel acquired last year, announced on Thursday that it would begin testing up to 100 cars on the roads of Jerusalem. But in a demonstration with Israeli television journalists, the company's demonstration car blew through a red light. Mobileye is a global leader in selling driver-assistance technology to automakers. With this week's announcement, Mobileye hoped to signal that it wasn't going to be left behind as the world shifts to fully self-driving vehicles. But the red-light blunder suggests that the company's technology may be significantly behind industry leaders like Waymo. While most companies working on full self-driving technology have made heavy use of lidar sensors, Mobileye is testing cars that rely exclusively on cameras for navigation. Mobileye isn't necessarily planning to ship self-driving technology that works that way. Instead, testing a camera-only system is part of the company's unorthodox approach for verifying the safety of its technology stack. That strategy was first outlined in an October white paper, and Mobileye CTO Amnon Shashua elaborated on that strategy in a Thursday blog post. "We target a vehicle that gets from point A to point B faster, smoother, and less-expensively than a human-driven vehicle; can operate in any geography; and achieves a verifiable, transparent 1,000-times safety improvement over a human-driven vehicle without the need for billions of miles of validation testing on public roads," Shashua wrote on Thursday. It's a bold claim. We're skeptical it's actually true. Enlarge / Intel's new test vehicles use only cameras. The industry leader, Waymo, has focused on racking up more than six million miles of on-road testing, supplemented by billions of miles of simulation based on data collected in those real-world tests. But Mobileye argues that this approach is simultaneously wasteful and unlikely to deliver sufficient evidence of safety. Instead, Mobileye advocates a more formalistic approach to demonstrating that its cars are safe. Mobileye envisions dividing its self-driving system into two parts—perception and policy—and then testing and validating them separately.